Justin Luong was one of the first people I met when I moved out to the New England, and I consider myself lucky for that. Justin knows everyone around here, he has a crazy job, and he can throw down on a bike. Justin is also a pretty prolific photographer. 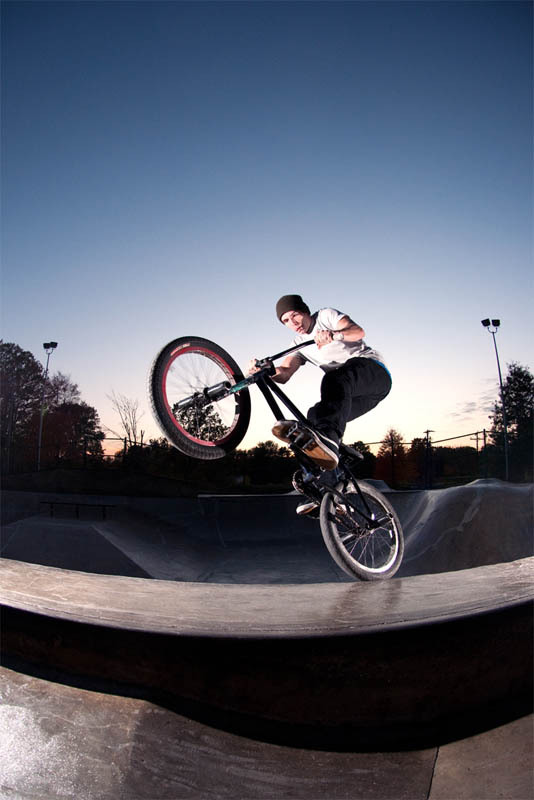 He has a large portfolio that spans back at least a few years and features a wide variety of riders from around the Northeast. I asked him to share a bit of his background, along with some of his favorite photos from over the years. What’s your current setup and what got you interested in shooting in the first place? Currently I have a Nikon D90, pocket wizards that fire a Nikon SB600, and a Vivitar 285HV, a few tripods to mount the flashes and the camera. For lenses, I have a 50mm f/1.4, 18-70mm f/3.5, and a 10.5mm f/2.8. Recently the Vivitar broke, so I will soon have two more SB600s for some extra fire power. 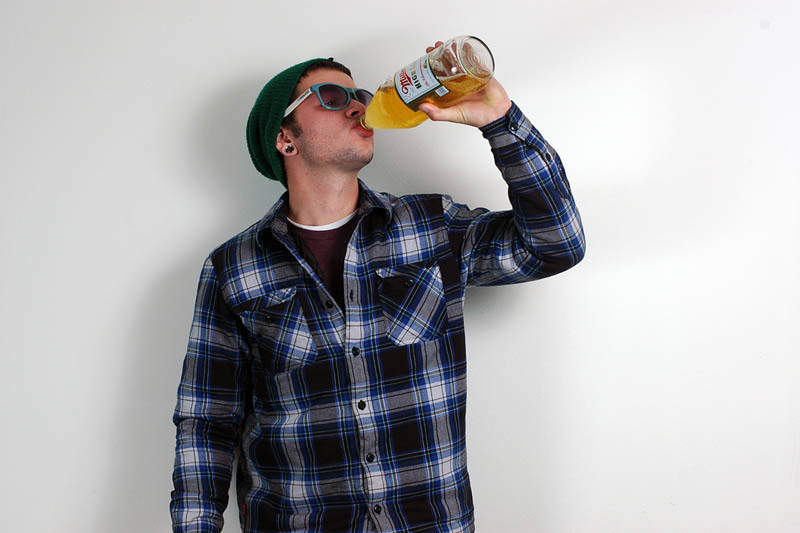 I got my first taste of photography from one of my roommates back when I went to college. I was never really interested in photography, I always thought some photos looked cool, but never really understood how these photos came to be the way they were. During my first year at college, I met two colleagues, Dave Damant and Mike Tnasuttimonkol (aka Mikey T). Dave was a graphic design major, and Mikey was a photo major, and boy could he shoot photos. He has an amazing eye for capturing the best pictures, even with a simple point and shoot, and he can make magic happen…I am honored to say he was my inspiration and the sole person for getting me interested in photography. Being a Californian resident, he loves the waves…and because of that, he initially wanted to shoot body boarding/surfing photos. Being that it was action photography that he loved to shoot, he of course asked if he could shoot photos of me riding my bike, since there are no waves anywhere close to Rochester, NY. As I watched him setup for shots, and watched all the work that went on behind a shot, it intrigued me…but what really got me, was the photos he would produce from them. He came through with amazing photos, and it made me appreciate photos at such another level. I would help Mikey setup in future shots, help take down flashes, and tripods (which is so helpful from a photographers point of view, so next time help a friend out if he is going to shoot you!) and I soon learned how things worked…why he placed the flashes where he did, and how wireless triggers worked. I wouldn’t understand the shutter speed, aperture, and ISO until I picked up a camera myself, but Mikey’s photos and his amazing ability as a photographer was the reason I gave it a shot and the reason I am shooting to this day. There’s a lot of diversity in your shots – different styles of riding, different places, and you don’t really limit yourself to shooting one group of riders. Is that something you do on purpose? I have a goal I set for myself, where I want to shoot at least one photo of every one of my friends I ride with. I believe each one of my friends has their own style, their own way they see things, and because of that, I believe all these different photos come to be. I don’t do it on purpose, I just happen to ride with them, and think “hey that would make for a good photo.” and I’ll usually just ask them if they’d like to shoot a photo of it. Because of the diverse riders that we have in our scene in CT, I believe that diversity comes out in the photos I shoot as well. What kind of stuff do you like to shoot outside of bmx? To be honest, I don’t really shoot much outside of bmx. 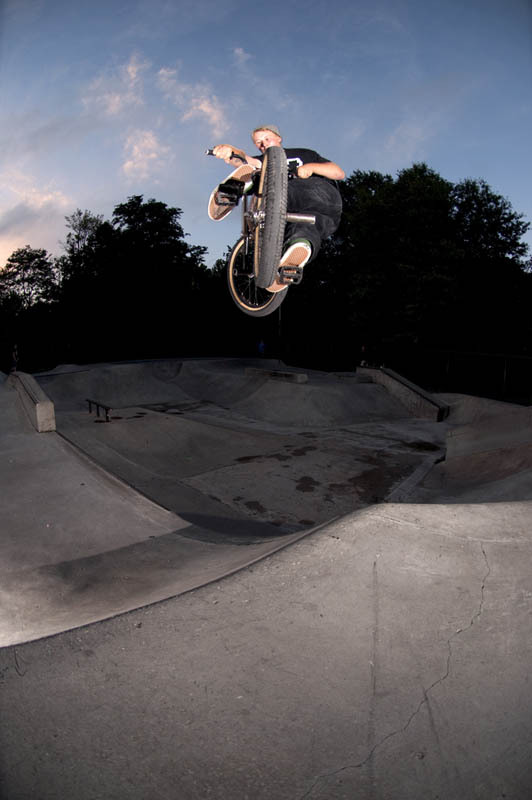 I mainly got inspired through photos of bmx, and also got into photography to shoot photos of bmx, so that’s what I mainly do. However, that does not mean I haven’t been curious about shooting other things. 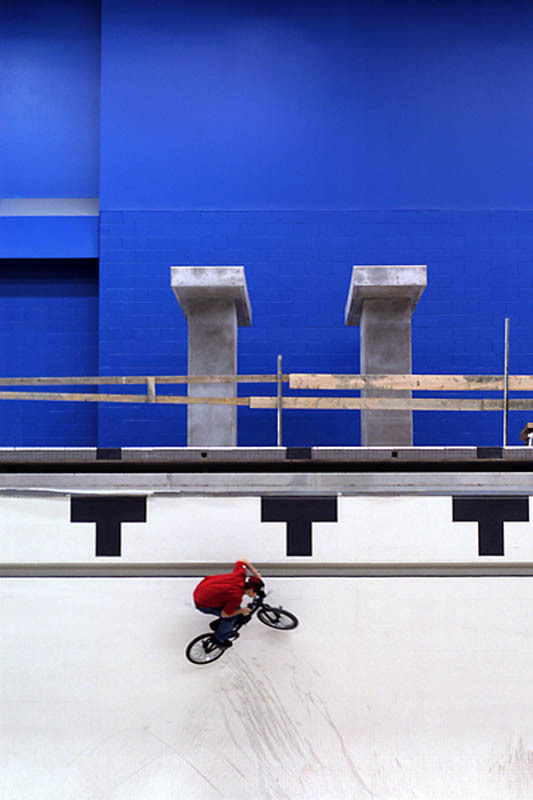 The majority of the photos unrelated to bmx are scenery, and landscapes. Portraits are really fun too. People do rediculous poses, dress up in funny outfits, and have a blast. It sounds pretty childish, but photoshoots are really fun, mostly since your imagination can run free, both for the photographer and the subject being shot. I like to make some ideas in my head and try to take a photo that best shows exactly what I’m thinking of. To be able to use your imagination and recreate it in a photograph for all to see amazing. Where are some of the places that you’ve traveled to, and some favorite spots close to home? I love traveling! As far as traveling for riding goes however, I haven’t been to many places that far from the Northeast, though I am starting to bring my bike everywhere I travel. So far, I’ve been to Las Vegas, Paris, and Vienna with my bike. I’ve also been out to Woodward, a lot of upstate NY, all over New England and NYC. I will say though, that there are plenty more places in the future that my tires will be touching. That DK Golf bag was the best investment I ever made. Explain your day job. Does that background ever come into play with photo stuff? Riding? I work as a Engineer at a place that makes Airplanes. Commercial and Military. I myself have been mostly working on the 787, which will be replacing the 747s that most airlines are using…so soon enough, you’ll be flying in planes that a BMXer has been working on. I don’t believe too much transfers over when shoot photos, mostly because photography is more of an artistic form of expression, and engineering is pretty much crunching numbers, and pretty much black and white type. The planes either fly, or they don’t. As far as engineering and riding goes…I’ve always dreamed of designing parts. I love the new designs Fly and Odyssey have done, and love how those companies are pushing innovation in BMX, and not taking what we ride as the standard. I’ve kept a few ideas in the back of my head…maybe one day we’ll see them come to fruition. What happens if you have a shot all set up, flashes out etc. and security shows up? I come up with an excuse fast haha. But thankfully…this hasn’t happened a lot, but it has happened before. The few times I was caught by security, they have let me pack my equipment up and leave. At those times, I really wish I got into videography instead hahaha. On that topic, I’ve seen a few videos you’ve shot on your DSLR, do you plan on doing that more? Is it weird shooting video on a still camera? Haha, it’s not really anything I plan to do more of, or any less of. I just thought it’d be fun to try and film an edit. As for using my D90 to film, it is quite hard seeing as the camera’s ergonomics were based off of shooting a photo, and not needing much wrist movement and freedom. I will definitely be making small edits periodically but my main focus is still photography. Do you have a process for setting up a riding shot? Is there any one thing that you always try to capture? What are some things you’re looking forward to this year? I know you’ve got at least one trip planned…. Oh man…there’s a lot of things I am looking forward to this year. Definitely the trips and the good riding sessions that will be had. Camping trips, lake jumps, summer fires, good times with friends, and with family. 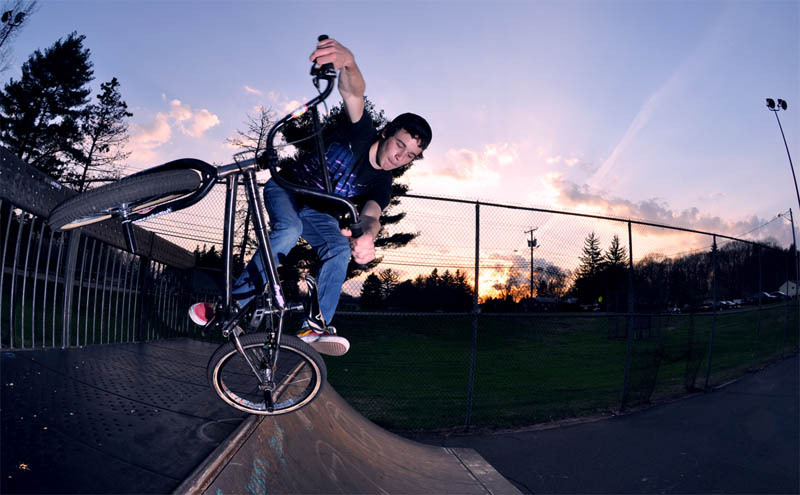 I’m looking forward to seeing the capital of Connecticut possibly getting a skatepark, and seeing the CT bmx scene grow.